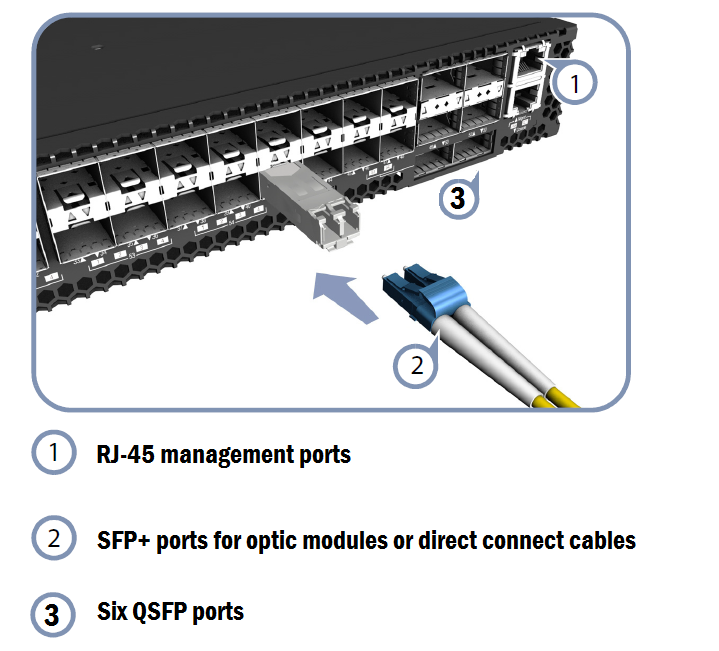 The SFP+ model AS5812 was introduced on 7 July 2016. A 10G-baseT model was announced in April 2016. While the Trident2+ has the capability of hosting 100 Gb/s ports, Accton has not done that here. More info on Trident2+ is in ASIC page. Uses BCM56864 with Intel Rangeley C2538 x86 CPU. This switch is the successor to the AS5712-54X which uses the trident-II ASIC. HPE rebrands and sells this as the Altoline 6921.